PR Guy gets a Soanbox, Watch out! I have been blogging about challenges confronting digital PR and social media marketing. You can read those posts to learn more. In a nutshell, issues have surfaced over the past couple of years (related to fake news, online manipulation, growing privacy concerns as examples) that I believe drive the need to take stock and possibly reevaluate digital strategies. This is my first in series of interviews on the topic. I thought it would be great to get Drew Neisser’s views. He’s an impressive guy. Drew Neisser is the founder and CEO of Renegade, the NYC-based strategic boutique for B2B renegades. 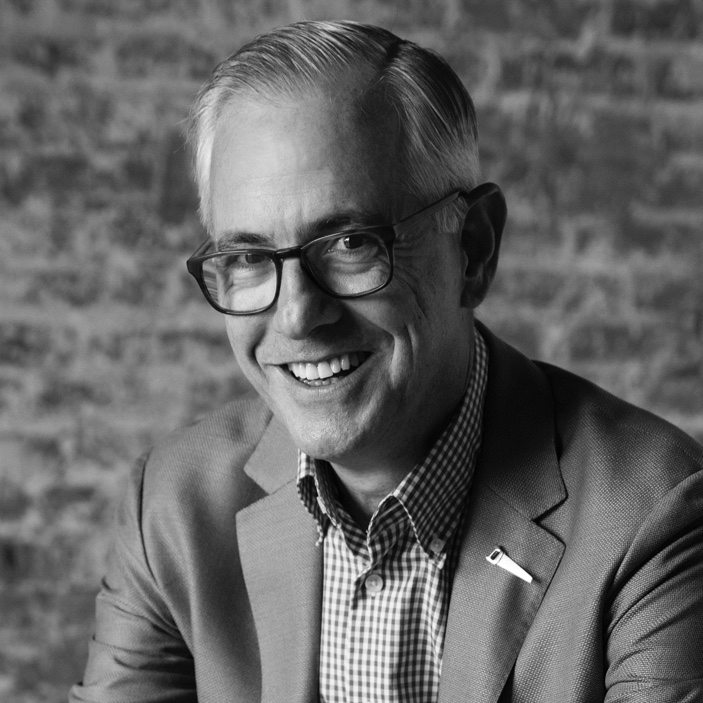 Drew also hosts Renegade Thinkers Unite, the #2 podcast for CMOs and writes the CMO Spotlight column for AdAge; is the author of The CMOs Periodic Table: A Renegade’s Guide to Marketing and serves on the boards of the Urban Green Council and Duke Alumni Association. We’ve enjoyed partnering with Drew and his team on groundbreaking campaigns over the yearsd. Here is the Q & A, and thanks for participating Drew! Are the social media waters still safe for marketing? Absolutely. What’s not safe is ignoring social conversations, especially those related to your brand and category. Interestingly, brands that take a stand, even a controversial one, are generally way ahead of those that sit on the sidelines. Nike’s 30th anniversary campaign, which featured Colin Kaepernick among many athletes, was an unquestionable success, dramatically increasing their fan base and engagement rates and even ended up good for the brand on the stock market despite the 1-day panic sellers. Have you been recommending a change in strategy regarding social media? Yes and no. No, in that it is still essential for brands to participate in social media in the spirit of the channels – in other words, brands need to be interested and interesting, in that order. Fail on either parameter and you’ll probably fall flat. The main strategic shifts are three-fold, first and foremost, you must have a paid strategy to support your organic efforts. Second, you need to have very different strategies for each channel, recognizing that Twitter is for real-time engagement, including social customer service. Instagram is all about dazzling images and stories and Facebook is increasingly about video storytelling. And LinkedIn is a powerhouse for B2B lead generation and recruiting. Third, given the plethora of content being pushed out every nanosecond, we’re recommending brands focus more on quality over quantity – since only the best stuff will rise to the top. What comes after social media? First, social media will be around for many years to come, just like TV, outdoor, radio and even print. Social will evolve both as an organic and paid channel and of course, new social networks will arise. In particular, expect to see more smaller affinity networks that meet both virtually and physically. The counter-trend to increased digital communications is the growing desire to meet in person. Business event attendance is at record highs and many B2B brands consider events their best source of leads. Can the ship be righted? Who said the ship is listing or sinking? Despite all of the controversy around Facebook this year, usage levels are still extraordinarily high and marketers are still finding it to be a very effective advertising channel. LinkedIn is also attracting increased advertising dollars and usage rates continue to grow. Obviously, Snapchat is in trouble, having been eclipsed by Instagram – which essentially took the best of Snapchat and left the rest out. And Twitter is struggling to find its way but hopefully will turn itself around given its unique strengths. Is Facebook still a good place to invest in social media marketing? Yes. Yes. Yes. It is still one of the most powerful advertising platforms ever invented and continues to prove its effectiveness for just about everyone from top 100 advertisers to local mom & pop businesses. Have these changes affected your social media habits for personal brand building? A bit. It’s more important than ever to engage with other people’s content, to demonstrate your interest in them. Inevitably, your interest in others will pay extraordinary dividends as they reciprocate with their attention. Also, the bar is higher for content quality. I’m creating a bit less content these days but trying to make what I do put out there as good as I can make it. Finally, it is important to recognize that organic reach can only get you so far, so it’s important to build your own mailing list, share quality content to your list AND get regular exposure on reputable media properties. This entry was posted in Interviews, PR, PR Tech, Public Relations, Social Media, Uncategorized, Web 2.0 and tagged digital marketing, fake news, media, PR, publishing, social media marketing. Bookmark the permalink. ICOs, the new Press Release for a Blockchain World - Fusion Public Relations on Is Crowdfunding the New Tech PR Press Release?